My dreams have fallen into a pattern over the last few years. They begin dramatically in a vast landscape or wonderful old mansion. They proceed through a love interest, intrigue, a chase and a great escape. Then, without fail, comes the longest segment, the one I wake up remembering in excrutiating detail. You know the one: Your clothes keep falling off, you can’t find your purse, you’re hopelessly lost. Last night my birth family inherited a mansion, I almost had a lesbian encounter, I got locked in a room and escaped out the window. The final segment featured my mother unpacking the moving boxes and putting everything in the wrong place! Enraged, I spent the rest of the dream rearranging pots and pans and organizing the closets. 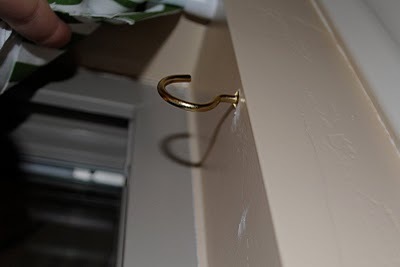 When I woke up, I was still trying to affix a cup hook to some wallboard but couldn’t find the stud. I was on my 20th hole in the wall. I’ve decided to blame this inevitable eventuality on falling asleep on a novel. The setting is grand, the plot is well-made and keeps moving … until you get to the place where you fell asleep. Your dreaming imagination can’t finish it properly, so you dither, frustrated, till the dawn.